I woke up yesterday morning like millions of others to the tragic news of Sridevi’s demise. And my immediate reaction was that of disbelief. She’s too young to go was my rational argument. Maybe, it’s a hoax, you know? Unfortunately, the deft hands of time had worked stealthily through the dark night. That dull ache just refused to go, even after a cup of coffee. My heart went out to her family, particularly her girls, one of whom is on the brink of a new journey all too familiar to Sridevi. She had mastered those routes and knew the pit stops by heart, but in a split second, everything had changed. And even as I was assessing my thoughts, I couldn’t understand my heartbreak. At most, I was a fan but why was I so torn? And then it hit me and I knew I had to pen this down right away. Sridevi was so many things to so many of us. She was the diva of the generations that grew in a digital-less era. The ultimate glam queen who donned any avatar and aced it. She’d go from childlike to childish and beautiful to ruthless at the word ‘action’. Her on-screen persona overshadowed the off-screen stories that we oft heard. To most, Sridevi was the epitome of glitz, glamour, and grace. To the Cinderella in me, she was the Fairy Godmother. I was told as a child I was a good dancer. And it was true. I was happiest when I had happy feet tapping away to the music. I had no preferences as such and could dance to any music once I got hold of the beat. For all annual festive celebrations in the residential colony, I had my prize earmarked. All school functions, I’d always choose dance over drama. And then the teens arrived bringing with it the awkward consciousness of being a girl. Before I knew it, I was in grade 9. And it wasn’t that great a year, to begin with, honestly. Puberty had hit hard and suddenly, folks I grew up with looked at me differently. I was too naive to understand what it meant, like most in my generation. Plus, being the older sibling, I had no one to talk to. Most importantly, I preferred keeping to myself even as I put on a cheery front for the world. I remember it was the September of 1990. Two school teachers, Smita and Malcy Ma’am were in charge of putting together a teacher’s day program line up. They were falling short of performances. I volunteered to dance on a film song. A Catholic school where speaking in Hindi was frowned upon, a whole song, that too from films, was a huge risk. They asked me to give them a demo but there was no music. So, I did some steps with the song ‘Mere haathon main nau nau chooriyan’ from Chandni playing as a background score in my head! The teachers were convinced, I think, that I was good enough to be put on stage. And just like that, I had landed my first solo performance in school. On D-day, the humble auditorium was filled with school kids and teachers. And to make matters worse, the strictest teacher in town, Mrs. Chaudhari, was right in the front row. I remember I was wearing a white Lucknowi suit and kept nervously adjusting my multicolored Mukesh work dupatta even as my jittery bangles gave me company. I was standing in the wings and the previous act had just gotten over. They were announcing my name. There was no turning back. The soundtrack played and my feet just took over. I had been practicing at home. Back in my days, the only way to get to see a movie was to rent a VCD. Well, we had to rent the video player as well, since we didn’t own one. And all that was playing in my head were Sridevi’s expressions and I was imitating them on stage. Chaudhari Ma’am was the first to start clapping and soon the auditorium was resounding with applause. Sridevi and I clearly made an awesome team. And then there was no looking back. Every school function, I was performing a dance for sure. Chandni, Lamhe, Chaalbaaz, Mr. India, Nagina and so many more. 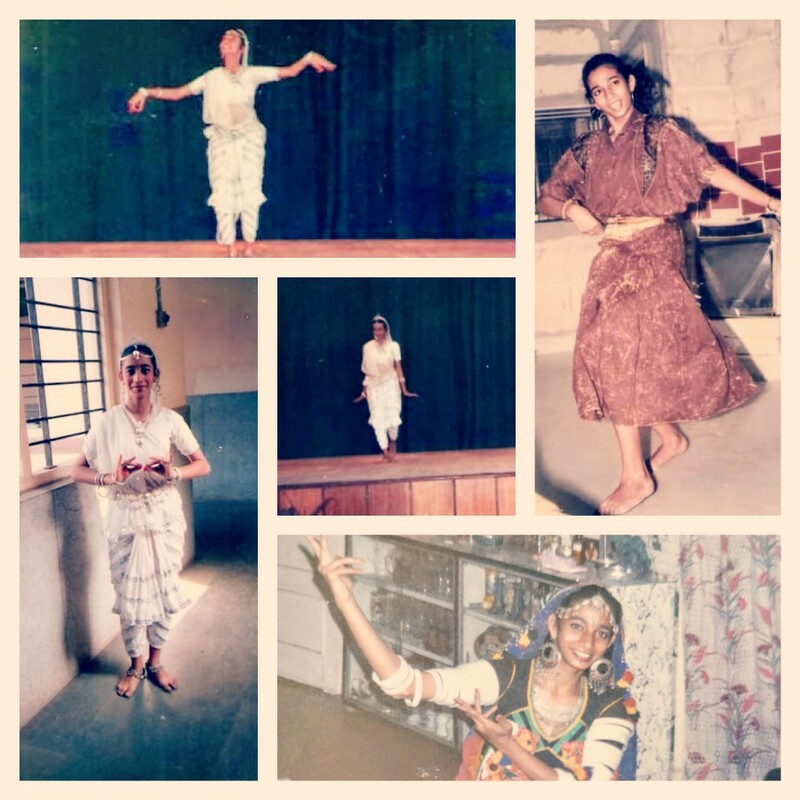 ‘Morni Baga Ma’ followed me all the way to college for inter-collegiate performances. Lamhe remains an all-time favourite movie that I have watched over 89 times, I think. Even today when I visit my school or meet teachers and friends, they have only one thing to tell me. ‘You danced so gracefully’. And I owe it to Sridevi. Some folks even thought I’d head to the movies right after school, but truth be told, I did not have what she did – gumption and sheer talent! We’d just returned from watching Lamhe. I had fallen in love with the story. Dad and I were talking and he goes, ‘Woh bahut shararti hai. Uske aankhon se hi woh scene kar leti hai. Isse kehte hain asli actor. Jab dance karti hai, toh ek ada hai jo seekhi nahin ja sakti.’ And I couldn’t agree more. Till date, the difference between a good and a graceful dancer is the expression, both of the face and body. Sridevi taught me that. When she chose humour over melodrama, she taught me to shield my wounds with the armour of laughter. When she looked at you with those big, lucid eyes she taught me to never back down no matter who is at the other end. Every time she essayed a character that resonated, she set an example that I, too, could do this. And after all of that, she’d continue to remain an enigma, where people only speculated about her life. But no one knew for sure. The truth is this, no matter what you might tell me about her and no matter what you think you know, you don’t know what she has done for so many girls like me. I do. And I have written this post to remind me always of the way she made me feel and who I became thanks to her movies. Ergo, she will always remain my North Star. Rest in peace, dear one. Sridevi ji made me laugh and smile. It was the 90s and owe it to her for making a non-eventful childhood beautiful. I find it so hard to believe that she is no more. I literally worshipped her…my angel and Goddess in the same way as Smita Patil. Oh, yes! She was all that and so much more. And likewise for Smita Patil. My dad was at the hospital to donate blood, along with many others. Unfortunately, it was not to be. It’s sad when they leave way before time. It is a void that can never be filled. « Have you caught Breathe on Amazon Prime?